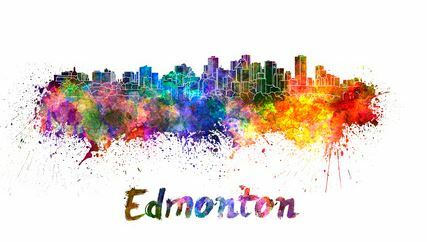 When’s the last time you toured Edmonton? The latest way to do so is by Segway. River Valley Adventure Co. offers the Beginner Segway Adventure, a tour that appropriately starts with in-depth training from a certified Segway trainer. Did you know training takes about 30 minutes? Then people get to see the river valley without having to walk! Instead, they get to zip along the trails, rain or shine, on a self-balancing mode of transportation. A guide goes with tour groups so they’re not alone. If you’re 14-years-old or older and weigh less than 250 pounds, then a Segway tour of Edmonton sounds like a great way to spend some time seeing Edmonton sights this Spring or Summer. During warmer weather, City Market Downtown moves out of City Hall’s glass pyramid and onto the 4th Street Promenade. Saturdays between 9am and 3pm, come see what’s for sale, from jewelry to tasty sweets. Many people come just for the people watching opportunities! Fort Edmonton Park opens for the summer season on May 20th this year. With its recreated streets, this is a lively living history museum with a focus on Edmonton’s early years. Step back in time to experience life during the fur trading era (around 1846! ), as well as the settlement era (1885), the municipal era (1905), and the metropolitan era (1920). Costumed interpreters play characters based on real-life individuals who lived in the area– and you can interact with them. Between May and October, why not ride the High Level Bridge Streetcar? The route goes from the Alberta Arts Barn (Gateway Blvd. & 84 Ave.) to Jasper Plaza (109 Street and 100 Ave.) and utilizes historic streetcars from among Western Canada’s largest fleet of such heritage electric streetcars. Of course warmer weather means many people will get out of their homes and look for games to play… or watch. Chances are there’s a little league game going on somewhere in the region most days of the coming months, and for ballpark fun, why not take in a game at Edmonton Ballpark (formerly Telus Field)? The Edmonton Prospects baseball team’s home opener is June 2nd, with plenty of games to follow throughout the months of June and July. When the weather’s warm and sunny, expect to see plenty of people enjoying the great outdoors in and around Edmonton.